Step 1 Place the sliced cheddar between the bread slices to assemble the sandwich. Step 2 Heat 1 to 2 tablespoons butter in a nonstick sauté pan over medium-high heat until melted. Place the sandwich in the pan and cook until one side is toasted to a rich golden color, then lift the sandwich out of the pan. 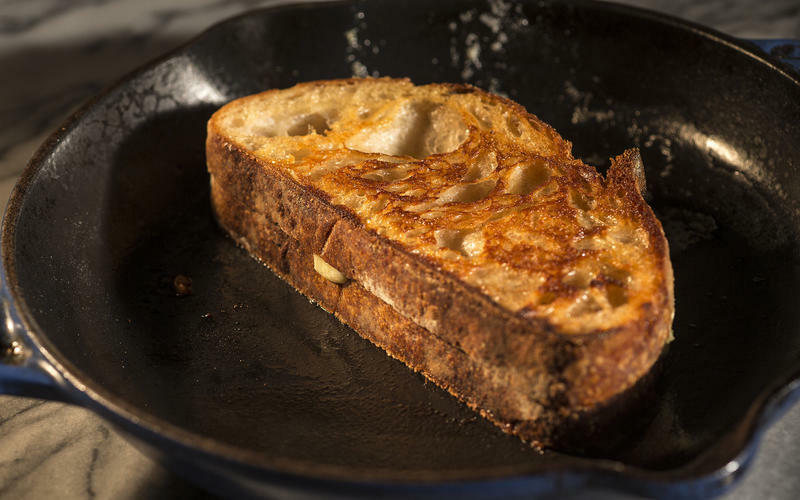 Add additional butter to the pan, if needed, and when it is melted, place the sandwich back in the pan, untoasted side down. Cook until toasted and a rich golden color, then remove, slice and serve. In Recipes-list.com we have selected the most viewed recipes from category - Sandwiches . Enjoy the best recipes specially selected for you! Classic grilled cheese is the right choice that will satisfy all your claims.